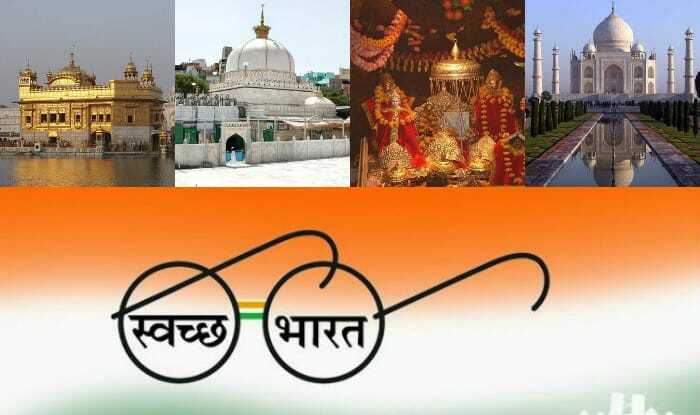 Government of India has aannounced to clean 10 importent sites under swach bharat mission.As part of Swachh Bharat Mission to clean and sanitize the entire country, the Ministry has identified 10 such iconic places to start cleanliness drive as part of the pilot project under this mission. As a part of this pilot project under this mission, Central Government will implement a cleaning drive to clean 10 iconic places in our country. These 10 places includes Taj Mahal, Vaishno Devi temple and Ajmer Sharif. Union Minister (Drinking Water and Sanitation) Narendra Singh Tomar revealed the idea of this pilot project and depends on the success of this pilot project; this cleaning drive will be extended to 100 iconic places in India. Union ministry is in the process of selecting 100 iconic places for cleaning under the mission and most will be either tourist or religious spots. Once this pilot project is completed, the govt will carry out a similar cleanliness drive at the remaining 90 places. Union ministry is taking help of experts from World Bank to make this project successful.